Devi is a popular Goddess in India. 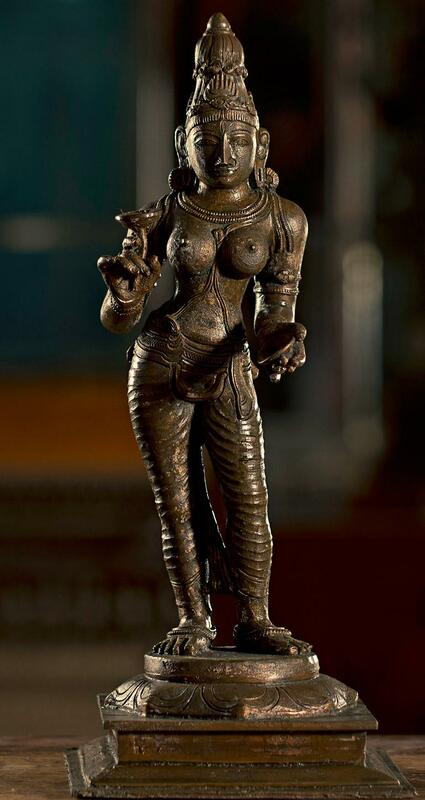 She is the feminine form of deity in Hindu mythology. Here the image is standing on a pedestal playing cymbals. The Devi is presented in a well ornamented form.